Will the Philadelphia Flyers trade Shayne Gostisbehere? Will the Ottawa Senators trade Cody Ceci? Ottawa Sun: Bruce Garioch is reporting that the Ottawa Senators are not shopping Codi Ceci but teams have been calling since before the holiday freeze in December and GM Pierre Dorion has been listening to get a feel for the marketplace. All it takes is one phone call, and the Senators believe one area they have good depth is on defence. If the Senators can get a first-round pick along with a couple of prospects then there’s a good chance Ceci will be moved. The Senators will also be busy trying to re-sign Matt Duchene and Mark Stone. Ryan Dzingel is likely to be trade at the NHL Trade Deadline. Could the Philadelphia Flyers trade Shayne Gostisbehere? The Fourth Period: GM Chuck Fletcher has come out and stated that anyone is available from the Philadelphia Flyers except for Claude Giroux. It is likely Ivan Provorov is untouchable unless a deal comes in that Fletcher cannot refuse. 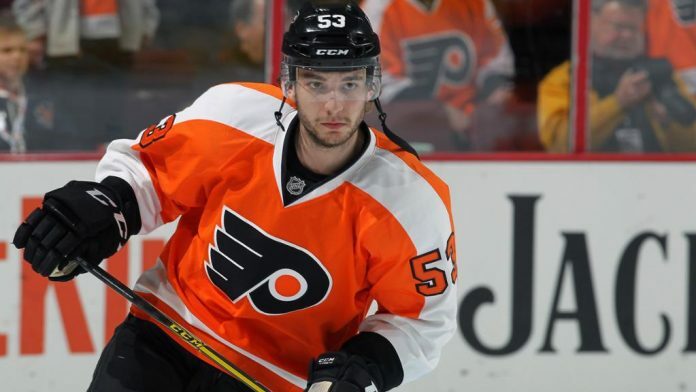 The Flyers could look to move defenceman Shayne Gostisbehere. They would get a hefty return as Gostisbehere is in the second-year of a six-year contract that carries an AAV of $4.5 million, so any team that acquires him would have significant cost certainty. Gostisbehere, 25, has seen his role diminish as of late. Currently a minus-12, worst amongst Philadelphia defencemen, Gostisbehere has found himself on the club’s third pair and off of the team’s No.1 powerplay unit. A change of scenery could be what Gostisbehere needs and the return of young assets only helps the Flyers at this stage.